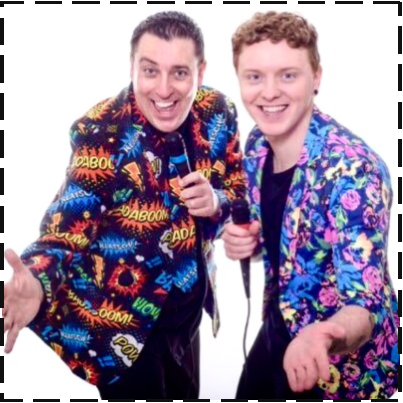 Wyburn: So the past few weeks have been a little different for me, as Wayne has had to take some time off… So I’ve recruited a number of guest presenters for our video blogs and a special guest columnist who’s attended a few of our events this month! She goes by the name of Helen Fulthorpe, who you may remember reaching judges houses of X Factor and she’s also been our Cardiffian Of The Month – welcome Helen! Helen: Aw wow thanks for having me, I always have a blast with you boys and it’s been awesome standing in for Wayne! Us two gingers have had some fun! Starting with the International Rowing Regatta down the Bay… My oh my! Rowing certainly is easy on the eye! Wyburn: Haha you’re telling me! We interviewed a few team members from England, Scotland, Ireland & Wales. The sportsmanship between everyone was inspiring – well done to all the winners. We’ve had the pleasure of enjoying some wonderful theatre performances this month, including Everyman Theatre’s Romeo & Juliet, and a favourite of mine Peter Pan! They always put on such brilliant shows and the weather was wonderful too in the open top theatre at Sophia Gardens. Helen: Not to forget Anthony Costa’s stand out performance in Save The Last Dance For Me at the New Theatre! We also attended a brilliant night of music featuring our buddies Jamie Miller, John Adams and headlined by the one and only Tom Auton! They’ve all got such bright futures ahead without any doubt! Wyburn: Agreed! Also got to meet the Brooke’s Brothers there as well, nice lads! 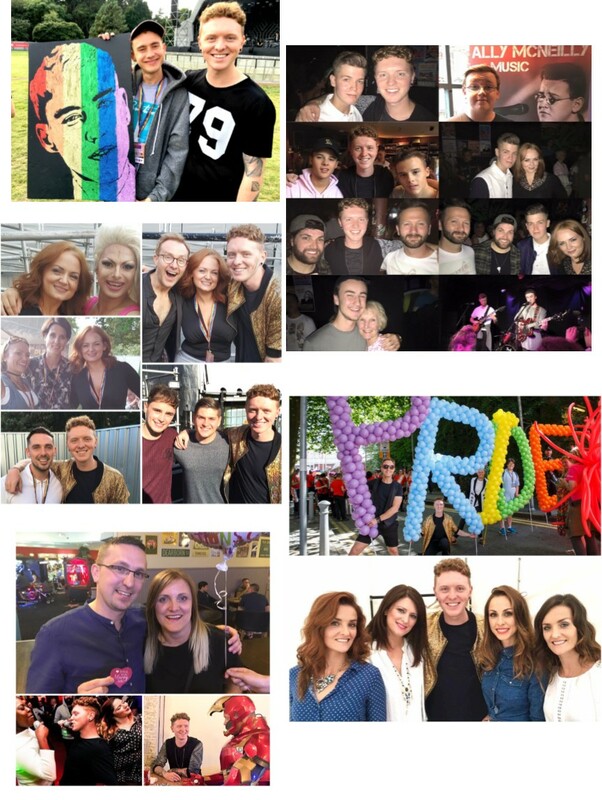 Our celebrity interview blog has kicked up a storm this month with countless interviews, including Sam Bailey (who nailed her performance at the WMC in Chicago), Michelle Visage, Jai McDowell, Lee Mead and ahead of their upcoming St David’s Hall concert, The Overtones supported by Jay James! That’s going to be one heck of a show! Wyburn: I did! I love a bit of karaoke, I’m pretty sure I even gave a song from the band B*Witched, ‘C’est La Vie’, a go! Speaking of those girls, it was so amazing to see them again at Pride Cymru! They absolutely rocked the place and they’re such genuine people too. I got to share the stage with them carrying on the big PRIDE balloon letters! I was in B*Witched for 30 seconds, life made! Also I carried the letter R in the mornings Pride Parade which was an absolute honour. Helen: Yeah so proud of you for that, it looked windy mind, I thought you were gonna fly away! The whole day was amazing for me too, of course performing was my highlight, in front of around 10,000 people? And knowing my gorgeous kids were watching too! You can’t beat it! A special mention to Donna Marie, Amanda Henderson, Jolene Dover, Danny Beard and Eurovision’s Joe & Jake who were all incredible!! Best Pride in years? Wyburn: Yes I think so!!! Highlight for me though has to be the Party In The Parc the night before headlined by one of the worlds current top bands, Years & Years! Presenting Olly Alexander with his portrait in rainbow glitter was an honour! I’m a huge fan and he was so lovely – he remembered me from the previous pizza art I had created of him! They put on an outstanding performance and I felt it made a huge difference to Pride the next day, as people come to the city for a weekend! Helen: A must visit new venue in Cardiff is NYD New York Deli on City Road, the launch was amazing – even Iron Man showed up!! The venue has a brilliant New York celeb feel and the artwork is great, get yourselves down there! Any other artwork this month Nath? Wyburn: Well there’s been a few, but one that stands out is my food art I did to launch the breakfast deliveries for Deliveroo in Cardiff! Also a favourite has to be my portrait of Einstein created using thousands of Smarties at Techniquest for their 30th anniversary! It’s on display there now so be sure to check it out if you’re passing – thanks for having me for a whole week Techniquest! While I’m thanking, Helen thank you for being a brilliant support this month as stand in for Wayne, you’re a star! Helen: Thanks for having me Cardiff Times, don’t stop inviting me to these fab events now mind… You’re stuck with me now mwahaha! Wyburn: Oh gosh ok… What’ve I done? Before we crown our next fab Cardiffian we’d like to do a huge shout out to our incredible friends Nathan & Rhian who got engaged this month in the very spot they had their first date – the arcade in the Red Dragon Centre! Well done Nath! We love you both! Occupation: Self employed pencil artist. Face place to eat in Cardiff: Anywhere that cooks a good pizza, burger or hotdog. Fave bar in Cardiff: I’ve never been to a bar as I don’t drink alcohol. Cardiff in 3 words: Where I live. Favourite Cardiffian: Carl Edwards at ITV, an accomplished interviewer and editor who showcased me to Wales and shared my art with Good Morning Britain too. 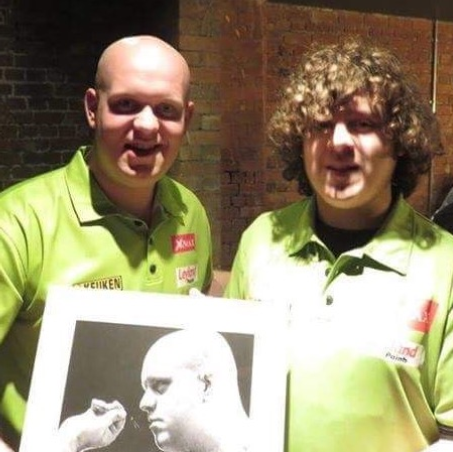 Pictured below: Chris with international darts player Michael Van Gerwin.